This my first historical YA book in about a year, and this was a nice refresher. Hazel writes about war and brotherhood really well, letting the dialogue and actions of her characters show the camaraderie and affection that exists between them. Reeve is interesting in his development, from being somewhat naive and idealistic as an English knight, to being more idealistic and honourable as a Scottish rebel, but more realistically so. I liked the presentation of true brothers and loyalty between soldiers in this book – it felt quite realistic, and I do believe that people fighting for a cause they believe in, over and above a paycheck or lofty ideal, will be the stronger of the two. This definitely came through in this novel. Wallace was an interesting character – I often found myself lost in the ‘domestic’ level of the story, watching the men going about their daily lives, that I forgot that some of the characters were significant historical figures. They were accessible and admirable at the most basic human level; they supported one another and valued brotherhood and security for their families above all else. The historic backdrop is well presented: from the battles and lengthy breaks between them, to the villages and people they encounter. Hazel is very descriptive in her writing and I felt she built a strong world around her characters that I could visualise and relate to. Overall rating: 4* This was an interesting read, with strong characters and for me, was a new take on seeing Wallace from an Englishman’s perspective. The historical notes and ‘add in’ scenes at the end of the novel are interesting for readers and writers alike, for understanding how historical research and facts became fiction. 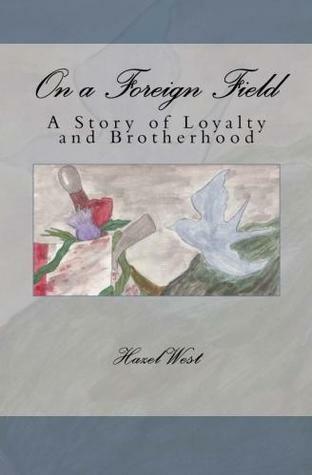 This entry was posted in Reviews and tagged 4*, hazel b west, on a foreign field, review, william wallace on February 12, 2013 by mel.